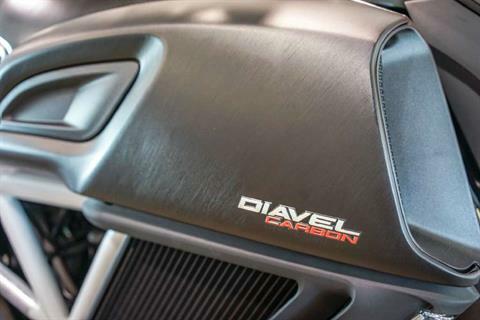 "Don't call me a cruiser." 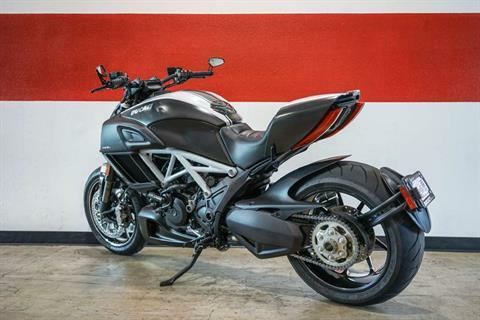 The Diavel Carbon exemplifies the distinctive style and sporty soul of the Diavel with high-quality, lightweight components. 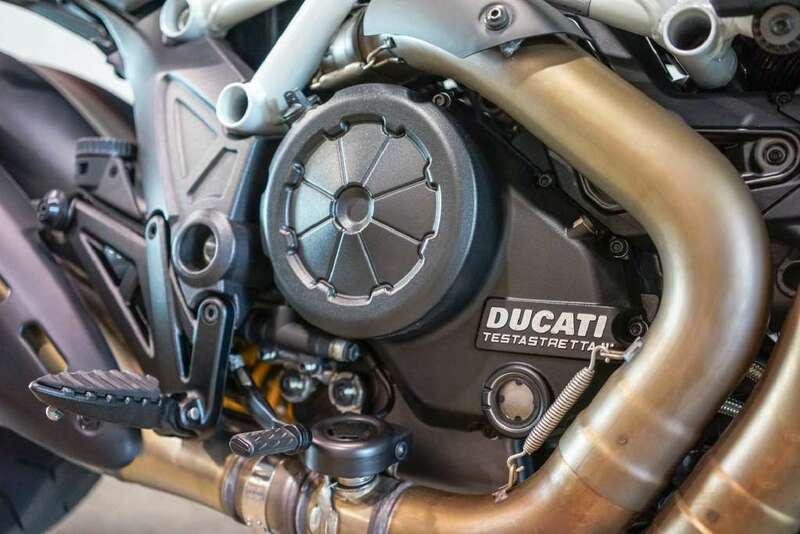 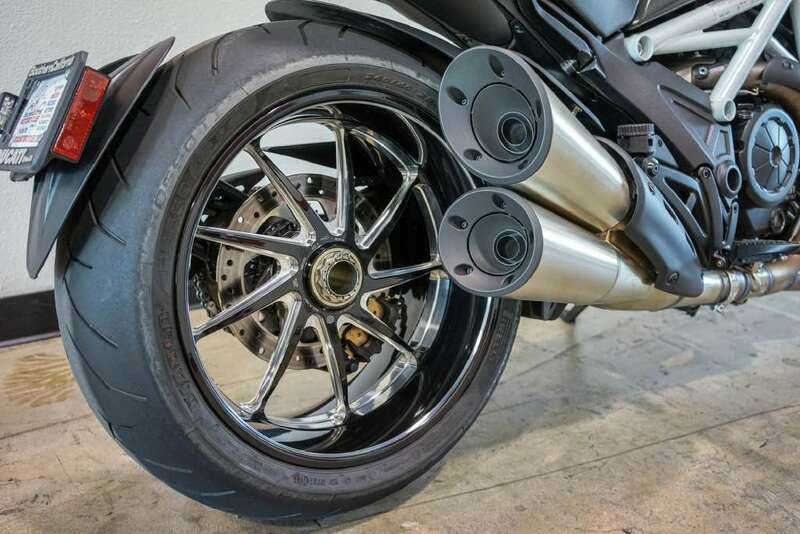 Clad with carbon fiber and Marchesini forged wheels, the weight is reduced to just 205 kg, only further enhancing the performance of this extraordinary motorcycle. 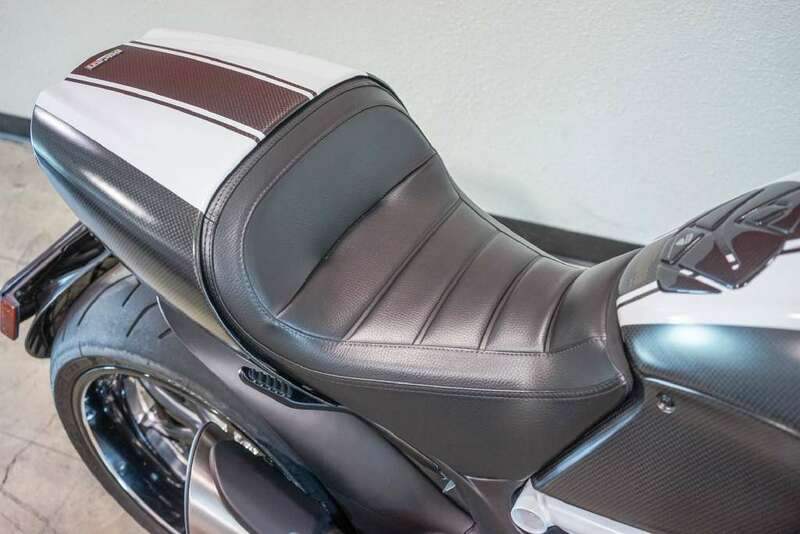 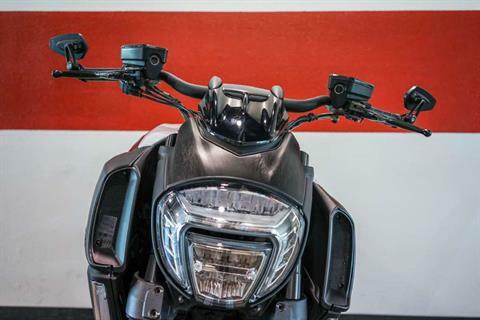 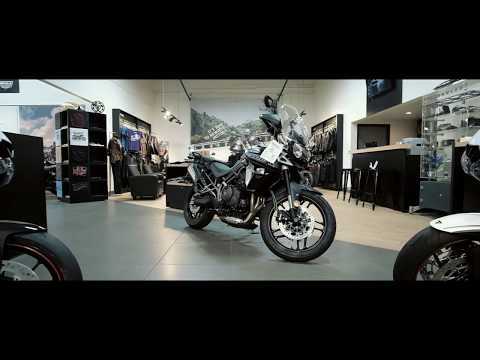 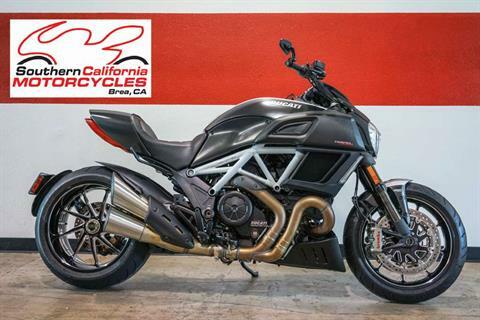 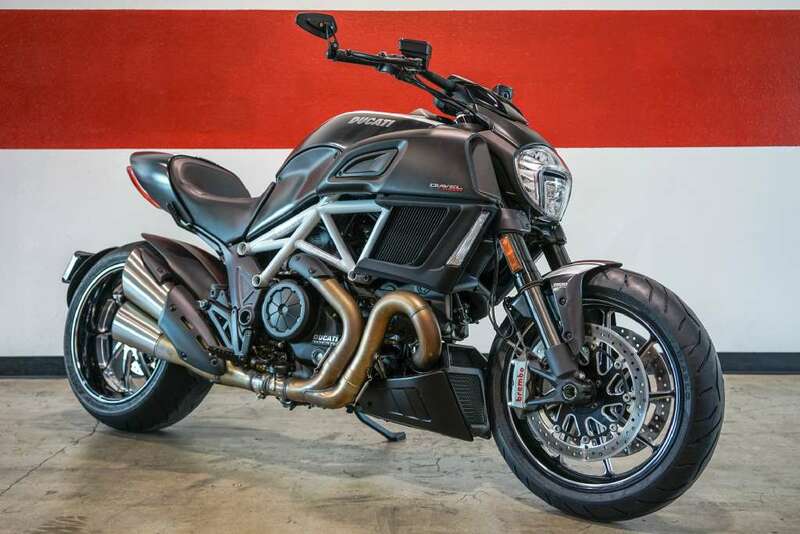 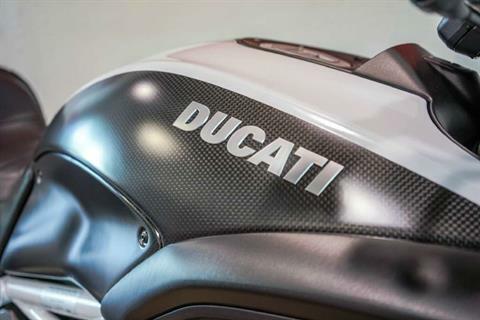 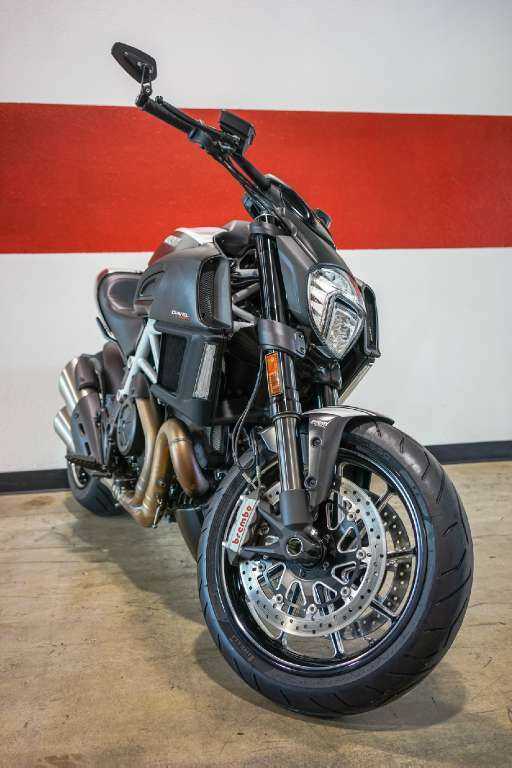 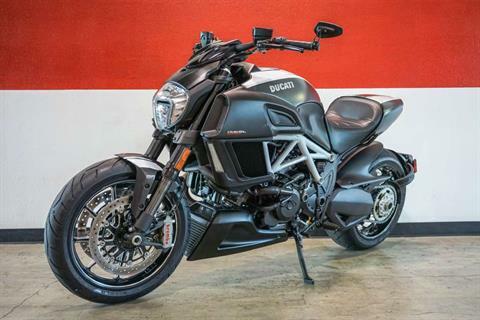 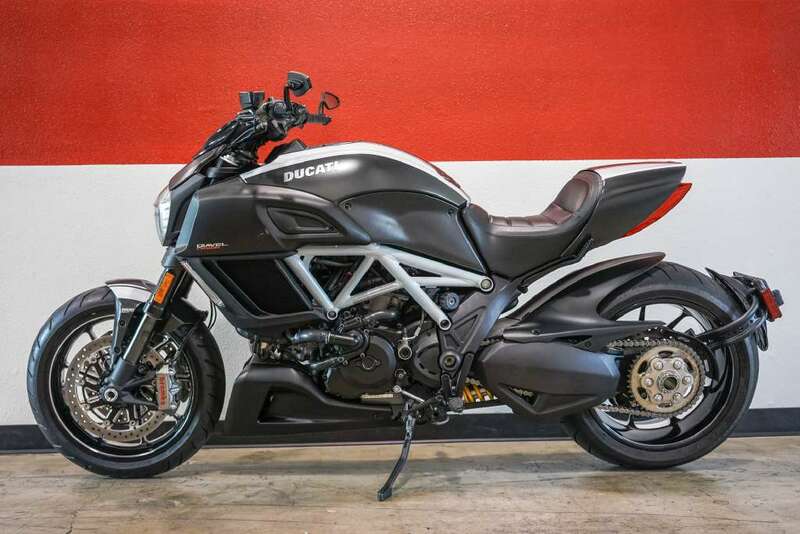 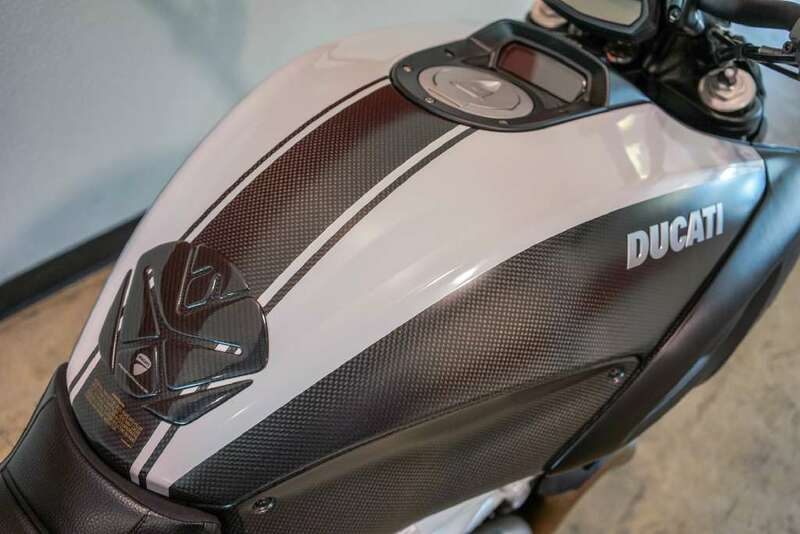 The intoxicating design, with innovative LED headlight and refined rider comfort of the new Diavel may imply "cruiser," but the brute force of its 162 hp Testastretta engine and its razor-sharp handling prove otherwise. Front: Marchesini forged and machined 9-spoke, 3.5 x 17 in. 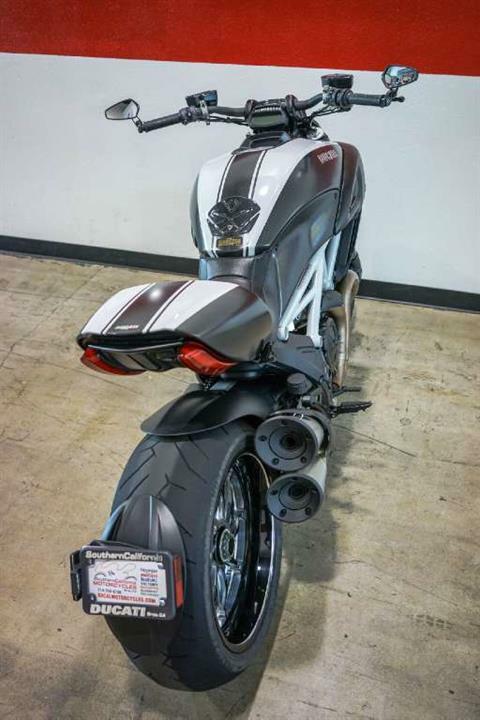 Rear: Marchesini forged and machined 9-spoke, 8 x 17 in.